Our socks from last year! Ok, friends, a big day is coming up this week! Friday, 3/21, is World Down Syndrome Day. This is an opportunity for advocates of Down syndrome to join together and raise our voices in support of all those included in the Down syndrome community. Part of this day is the Lots of Socks campaign. 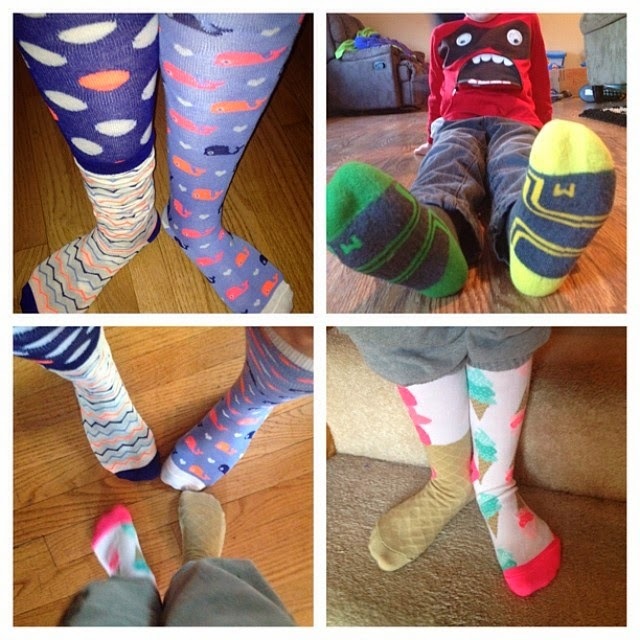 To get people talking about Down syndrome awareness, we’re encouraging everyone to wear fun, crazy, mismatched socks. If somebody asks you why you’re wearing colorful, silly socks, take that opportunity to share with them about World Down Syndrome Day (click here for some talking points). If you are going to participate, I’d love to see photos of Lots of Socks! I invite you to tweet them to me (@jnfranklin, with #TeamAlex), or post them on this Facebook page (be sure to “like” it first!). 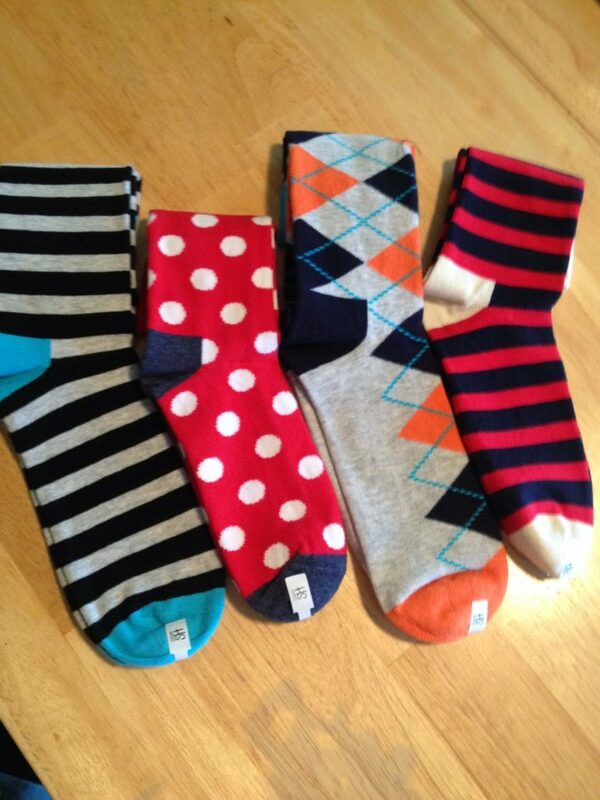 Andrew will wear the red/navy/beige socks; Al, the navy, turquoise/orange.